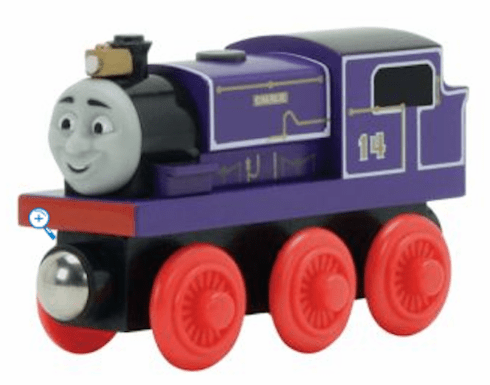 Charlie is a little purple engine with gold trim and red wheels. He wears the number 14 proudly. Charlie is always up for an adventure; while he is small engine, he likes to have a lot of fun and cause mischief. Thomas Wooden Railway items are not compatible with Take Along Thomas products.